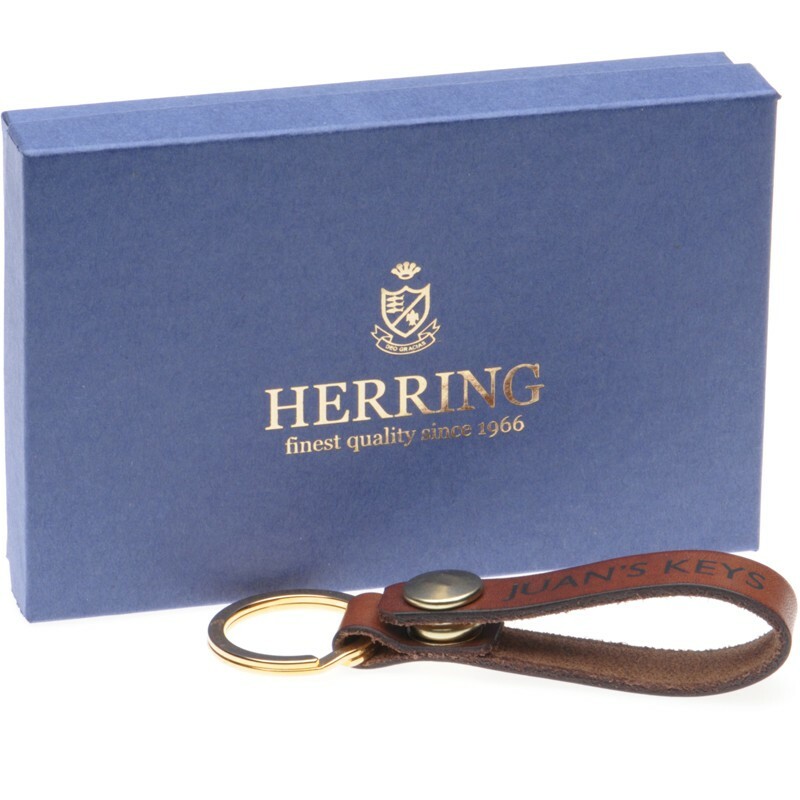 Made by Tanner Bates in Totnes, near our Devon base, this keyring is all made by hand using the finest brass fixings and genuine oak bark leather that has been naturally tanned. 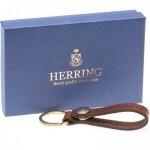 The pop fastening allows it to be easily looped around a belt or handbag strap for safe keeping. 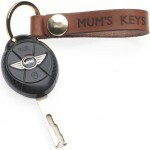 We are able to personalise this by hand in our workshop. Simply fill in the text you want us to add in the box provided. 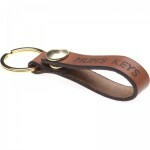 If you just want a plain version then please choose the plain Oak Bark Keyring instead. Please note that because this is a naturally tanned product the shade and finish of the leather can vary considerably from that shown. Only the first 50mm of text will be visible when folded. Maximum width of letters 62mm. What characters can I use? 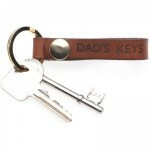 | Want more than 3 keyrings? Please use two single quotes instead of a double quote character if you need one. We are only equipped to print the standard english alphabet. Our printing press can fit up to 62mm of characters - wider characters take up more space and 1.5mm has to be allowed for heat expansion. The average width of a character is 4mm so aim for 15 characters or fewer. If you would like to order more than 3 keyrings, then please email us with your requirements and we'll be more than happy to help.